The life insurance retirement plan, AKA LIRP, is a powerful financial tool that has many pros and is has been used by millions of Americans to secure and protect their way of living throughout their lifetime and beyond. In the highly competitive financial services sector you will hear advice for 100 different products and strategies, but rarely will you come across something as safe and flexible as the LIRP. If you love to gamble and can’t wait to try the latest and greatest financial scheme, the LIRP is probably not for you. However, if you happen to be conservative with your safe bucket money, and you like to see a steady and secure path to financial security, the LIRP is an excellent choice. In this article we want to help you understand the benefits of a LIRP, why the LIRP is favored over some other retirement products, and even give you some typical critiques of the LIRP. In addition, we will present a very basic framework for how a LIRP is structured and can be used to gain the benefits discussed. So, why do you need a LIRP? In 2008 the stock market plunged almost 60% and millions of Americans lost a fortune of their hard-earned savings, to the tune of trillions of dollars. (1) In the months following the most recent market collapse, people were looking for answers from their brokers and advisors. But unfortunately for many, the answer was the tried and true “these things happen – stay the course – it’ll all come back.” AKA the “buy and hope” approach. And thus far it’s true, the market has climbed back. But what about the lost decade of earnings? For many Americans that had saved with traditional investment strategies, the crash in 2008 was enough to devastate their portfolios. Many saw more than 50% of their portfolio given back to the market in massive sell-offs. While it’s true that these Bear markets are typically followed by Bull markets, that isn’t a solid encouragement for those that planned on retiring in 2009 or 2010. A LIRP provides a floor to your investment returns, also known as a guarantee. The guarantee means that you will never have a year in which you take a loss, and depending on your product choice and allocation you may be able to get a guarantee that you’ll never get less than 3 or 4%. In order to get the guarantee and the safety that comes along with it, you will give up some of the big gains that come in the incredible bull market years. So you won’t be getting 20% when the market is booming, instead you may only get 11-13%. But for many that is a price they’re more than willing to pay to get a solid guarantee that they’ll never lose money. In addition to guaranteed returns, you also get a guaranteed death benefit. The life insurance death benefit is paid to your beneficiaries income tax free. And the death benefit on a life insurance retirement plan can be designed to increase each year as your cash value grows, so when you do die, your beneficiary receives the maximum death benefit possible. Some people like to work for themselves rather than working for someone else. Starting their own business has been a dream of theirs for years. A LIRP offers participants the option to fund their own business without having to approach a banking institution. In most situations, starting your own business is going to be challenging enough even if you have the money. But most banks consider financing new and innovative businesses too risky, and are therefore reluctant to lend. With a LIRP you can often borrow money at close to 0% net cost and pay it back with flexible terms that work well within your start-up needs. If you have a slow month and can’t make a payment, that’s okay, you can pay less that month. If you have a huge emergency and can’t pay your loan payment this month, that’s okay as well. You will never have any penalties for late payments on loans. The flexibility that comes from a LIRP allows many entrepreneurs to fund ventures that never would have been funded otherwise. If you’re not an entrepreneur, it doesn’t matter, because the same borrowing feature works for many other situations. In life, your LIRP can be used as tax-free income via withdrawals up to your basis or you can borrow against your cash value. Having a steady stream of tax-free income from your policy is a great way to supplement your retirement income. In death, the LIRP provides income protection in the event that you can no longer provide that retirement income for those you love. In the event of your death, the LIRP provides a tax-free death benefit to your beneficiaries. And if you have chosen the disability features within a LIRP, you can even provide for you spouse and family if you are permanently disabled, need long-term care or are terminally ill. While the goal of a LIRP is to provide living benefits for you and your loved ones that last your entire lifetime, one of the key benefits is that it also provides death benefit protection if you die unexpectedly. The peace of mind that comes from a LIRP is a great benefit, and it’s one reason why the LIRP is sometimes considered a self-completing retirement plan. Most retirement strategies are either fully taxed, or tax-deferred. What that means is that you either pay taxes every year on the gains you receive from your investments (fully taxed), or you defer taxes on your gains and pay them when you withdraw your funds (tax-deferred). The LIRP is not like either of these strategies, it is tax-free. How can a LIRP be tax-free? First and foremost the money that you invest in typical tax-deferred investments is paid for with pre-tax money. Whereas with a LIRP you pay for it with after-tax money. So the government has already been paid to some degree. But what about the gains in your investment – when do you pay tax on those? With a LIRP you will pay taxes on the gains if you choose to withdraw the money. However – and this is a big deal so listen up – the gains don’t have to be withdrawn to be accessed. You can choose to borrow from your gains instead of withdrawing, and thereby gaining access to your money tax-free. The typical question about borrowing from a LIRP is “If it’s a loan, don’t I have to pay interest?” The answer is yes, and no. You do pay interest when you borrow from your LIRP, but due to the fact that you also receive interest from your LIRP, the loan typically ends up being a 0% wash loan. These loans are often called wash loans because you earn what you pay, so it’s a wash. But what does all this have to do with a hedge and rising tax rates? A hedge just means that something is a barrier, or a protection against, something. In this case, having a tax-free retirement vehicle means that tax rates can rise to 50% and it won’t impact your retirement because you will be accessing your funds tax-free. In other words, the tax situation for those with a LIRP is much more secure and predictable than those with other strategies where paying taxes is involved. We mentioned earlier that you can access your money to fund a new business with a LIRP. But it’s also true that a typical retirement strategy like a 401(k) will allow you to do the same thing. However, with a typical 401(k), the access to your money comes at a cost. If you access your money prior to age 59.5, you will pay a early withdrawal penalty. The penalty for early withdrawals that don’t mean the hardship criteria is 10%, and of course you are taxed on these as well. So let’s say you have $100,000 in your 401(k) and you want to withdraw $50,000 from it for a new business on you 48th birthday. At the end of the year your tax liability will include an additional $50,000 in income, and a 10% tax on that amount ($5,000). If we assume that you already make $80,000 in taxable income, the additional $50,000 would have a 35% tax liability of $17,500. So the total you would receive for the year, after taking the $50,000 early withdrawal, would be a paltry $27,500. Almost half of your money went to taxes and penalties. In contrast, if you had a LIRP with $100,000 and you wanted $50,000 for a new business. You would get the full $50,000 and you would not be taxed or penalized. In fact, the IRS would not even know you accessed the money. To be fair some 401(k) plans do have a loan provision, but the payback criteria is very strict, there is a loan limit, and it has to be paid back within 5 years. If you change jobs with an outstanding loan, you’re usually given 60 days to pay it back in full. And not all 401(k) plans provide for loans. This benefit may seem like a stretch to those that have never heard of Infinite Banking or Banking on Yourself, but it’s a concept that has been around for decades. In short, you are able to use your LIRP to fund various financing endeavors for yourself or others. Many choose to keep the business within the family and only open up funding to those they know well. However, for those that might want to be a hard money lender, or finance a friend or colleague in their entrepreneurial venture, there are no limits. In order to be your own banker, you need to use your saved money within the LIRP to finance various ventures. For example, let’s say you wanted to buy a car. You could choose to finance the car through a credit union or a bank, but why not use your own saved money to finance it as well. The money in your LIRP is used as collateral for your loan, so there is no need to qualify or apply as is normally the case with financing a car. You pay your LIRP back with terms that you agree are favorable. If you choose to pay yourself back at 10%, you can do so. If you choose to pay yourself back at 2%, you can do that as well. It’s your money, so you can even decide not to pay yourself back. However, those that really want to use Infinite Banking to the fullest, usually choose to pay themselves back at higher rates, because they want to accelerate their money growth. In addition, they can choose to lend money to friends and relatives at a good rate with flexible terms. If you have the option to buy a car with a 0% loan, that’s probably a better deal, but not every financial endeavor offers 0% terms – so the LIRP option is still a great benefit. Ultimately they’re are a wide variety of options available for the person with a LIRP. Whether it is banking, college planning, business financing, retirement security, or income replacement, the LIRP remains one of the most flexible and secure strategies available today. The LIRP also acts as protection against the high cost associated with long-term care. Most LIRP policies provide for accelerated death benefits that can be used if you are diagnosed as terminally ill. You can even add additional long-term care riders or chronic illness riders for further protection. For those who are below the income requirement threshold for funding a ROTH IRA, there still is the problem of limitations on how much you can put into the Roth IRA. However, there are no limits on how much you can place into a LIRP and there is no income threshold prohibiting you from funding a LIRP, beyond what you can qualify for. A LIRP can be created using any number of permanent life insurance companies and policies. You can choose participating whole life, universal life, indexed universal life and variable universal life. Each type of life insurance coverage has its pros and cons associated with it. For example, in comparing whole life vs universal life, participating whole life is going to be a safer, more conservative option than variable universal life. Additionally, some people choose an IUL due to the 0% loss protection but potential for higher gains than whole life. What Does LIRP Stand For? LIRP simple stands for Life Insurance Retirement Plan. And in most instances the plans are referring to permanent life insurance plans that provide cash value to the owner. 40 years ago when someone heard the word “life insurance” they thought of safety and security. Today, with the deregulation of Wall Street and the rock star attitude of the financial advisor sector, many associate life insurance with slow growth or expensive premiums. Further, most people in the financial sector, and even many in the life insurance industry, advise people to buy term and invest the difference. We’d like to address some of these criticisms, but first let’s discuss what we think is the optimum method for creating a LIRP. This article is already too long to have a lengthy discussion about the perfect LIRP. And it’s also true that there isn’t any one size fits all retirement plan. Having said that, we can give some guidelines for a LIRP that fits with most individuals needs and desires. First of all the ideal LIRP is with a reputable mutual insurance company. We believe mutual companies that are beholden to the policy holders are better choices than the companies that only answer to their shareholders. Second, we believe the ideal LIRP is with a company that has a proven track record of performance. Not all companies have great returns year after year. We recommend choosing companies that have a history of excellent dividends. Third, we believe the ideal LIRP is with a company that is top rated, flexible and allows for a variety of options. You never know what the future holds, and therefore having a LIRP with a company that provides financial security and policy flexibility is a huge bonus. But what do the naysayers have to say about the LIRP? Well, there are two major criticisms that we hear over and over again. First, we hear that permanent life insurance is too expensive. Second, we hear that the returns are poor. Let’s go over these two critiques in detail. Most financial advisors that are critical of permanent life insurance like to compare term vs whole life insurance to shock the reader into a state of disbelief. They will compare a 35 year old male non-smoker with good health paying for $1 million dollars of insurance. The premiums are just over $1,400 for 20 year term insurance, and almost 10x that amount of whole life insurance. But this comparison is not fair for a couple of reasons. First, the comparison chooses the cheapest term insurance to the most expensive permanent insurance. If the term was 30 years, the rates would be almost double, and if you choose a different kind of permanent insurance the rates would likely be closer to 5x or 7x that of term. But that’s still a big difference! True, but that brings us to the second reason this comparison is not fair. In the example of the term premium, the premium is only paying for insurance, while with the whole life premium, a portion of the premium is going to cash value. In other words, one has a savings component, the other doesn’t. So it’s not an apples to apples comparison. Further, the term may be less pricey early on, but consider what the term life premiums will be in 10, 20 or 30 years. Now you want to renew your policy only to find out that your term life insurance premiums are what your cash value life insurance premiums were back when you chose the term vs permanent policy. You could have locked into a policy that last your entire life for the same price you will be renewing that term life policy for. In addition, we prefer to recommend to most clients that they choose a whole life policy that offers the lowest insurance possible, with the highest paid-up additions they can safely afford. This structure of a whole life policy will allow the majority of your premium to go toward the cash value savings, while very little goes toward agent commissions and the cost of insurance. The benefit of this structure is that you get all the benefits of a LIRP without paying the more typical higher cost of insurance associated with the product. The idea is not overfunded life insurance that is in danger of becoming a MEC, but toeing the line between a life insurance policy and MEC as defined under IRC 7702. It’s easy to listen to someone saying that a LIRP will only get 5% annually, and think that you’ll never be able to retire. And at the same time the financial advisor that is critical of a LIRP is likely to show mutual fund rates of returns that are almost double that of a LIRP. However, five consecutive years of 10% returns can be easily wiped out by one -40% return. And to make matters worse, you have now lost 6 years. If you compare two initial investments of $100,000 over the course of 20 years, one of which earns 5% annually every year, and the other that earns 10% annually, you get an obvious result. Everybody wants the 10% return. However, if your 10% return investment column has just one bad year in which you take a 50% loss, you come out about even in year 20. And if you have more than one year that is bad, you will come out ahead with the 5% return. Keep in mind this is only comparing rate of return, we haven’t even talked about how much of the money you get to keep (taxes), or how easy it is to access your money. So there is still some advantages to the LIRP that aren’t being discussed in this context. There are only so many years between now and your desired retirement, and each year counts. Even though you may only get a guaranteed rate of return in a LIRP that is around 4%, that doesn’t mean that you will never get more. In fact, often times you will get much more, the guarantee is just a minimum amount you’ll get in those years when the stock market is tanking and people are losing their shirts. And don’t forget that you can always choose to use your LIRP along with a banking strategy to fast track your cash value and gain even higher returns. The LIRP is a tried and tested financial strategy for retirement and healthy financial living that has been around for decades. At Insurance&Estates we believe this unique and wonderful tool can help just about anyone reach their financial goals throughout their life. If you have any questions about the LIRP, or if you just want to run some ideas by our team, contact us today. Can you wrap in supplemental medical, dental, etc insurance, disability, rehab, etc. into a LIRP? Great article. My wife and I started a LIRP last year to supplement about 500k in 401k savings. With 25 years until retirement we set our LIRP up under 10k annual payments to provide a $5000 monthly income at age 65. Thank you for the great read. Happy Memorial Day! Thanks for stopping by. Glad you enjoyed the article. I would like more info about creating a Life Insurance Retirement Plan. Thank you for stopping by and for leaving the request. We will reach out to you shortly with some additional information on LIRPs. My wife and I invested in a lirp three years ago. We have been hit with financial hardship and when I asked our financial planner about liquidating the lirp or rolling it over into a traditional annuity they told us that the investment could not be liquidated for what we had invested. In fact he told us that none of the one hundred thousand dollars would be refundable back to us which sounds completely insane Does this sound right? I am just learning about LIRP’s, and recently heard about a hybrid model where the interest earned ceiling was higher but had a 1 – 2 percent potential loss floor. Would you explain these further for me? We sent an email answering your posted question. Please check your inbox. I have money in my IRA that a LIRP firm wants me to take $18,000 out of and put in a LIRP. I am 64. Does this make sense? And how long do I have to keep it in before I can take out? Thanks for stopping by. We would be happy to work with you but we cannot give out specific information to your unique circumstances through the comment section of our website. Please give us a call if you would like a complimentary strategy session. Hello TJ, thank you for your interest. You can e-mail us at info@insuranceandestates.com with any specific questions or contact information or call us at 877-787-7558. 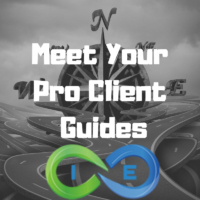 Let us know if you’d like to have one of our Pro-Client Guides reach out to you? I have a significant portfolio, my wife and I are 60 and would be interested in what you might have to offer. Hello Steven, great to hear of interest and thanks for reading. Will have one of our experienced Pro-Client Guides, Jason or Denise, reach out to you soon. Yes, everyone’s life and economic situation is unique. There certainly is no “one-size-fits-all” product. Thank you for your insightful comment. Is there a way for me to avoid interest received with LIRP?